They helped me solve a self-install novice issue with speakers in the back overloading due to not setting the equalizer properly. Really nice and professional guys. incredible install in my durango today. one happy streetbeater! ty from pelusos barbershop. Great crew. Reasonable prices Remote Start System. Love it! I recently had an excellent experience with Total Image Auto Sport on Steubenville Pike. When I called them to discuss the installation of a remote starter in my 2007 Toyota Camry, they happily spent a substantial amount of time with me on the phone answering all of my questions. I stopped in after work the same day and, again, they took the time and made the effort to provide me with a complete understanding of the various systems they offered as well as my current and future options if I were to dispose of the car. I took their next available opening for a remote starter install, which was in three weeks due to the high demand for their services. I dropped the car off before work, they called me during the day to tell me when the work was completed, and I picked up the car after work. As a brand new smartphone user, I was very impressed with the patience and decency displayed by their representatives in assisting me with downloading Drone Mobile’s application to my phone. Again, they spent a substantial amount of time with me at the counter with other customers waiting in line behind me to ensure that I had a full understanding of how the system worked. These guys are top-notch professionals all the way around. 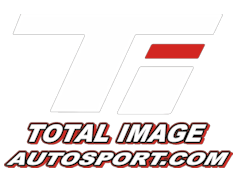 I am extremely pleased with my entire experience with Total Image Auto Sport. I am completely satisfied with their work and recommend them without any reservation. I have used Total Image for a complete sound system and recently a level lit. They are professional and delivered what they promise. Had 2 remote starters and window tinting in last few yrs. Daughter had wrapping done as well. Just had starter installed today. These guys are respectful, professional and very knowledgeable! I’m very pleased with the fabrication job they did on my Tundra. Clean cut, weld, and coat. Sure it took a LITTLE longer than I expected... but I was well aware that they hadn’t done this specific fab job before. They informed me that the tech noticed something when he was about to deliver my truck back to me that prompted him to pull it back in to the shop and re-work it until it was perfect; rather than just saying “screw it, I tried.” Very pleased. Thanks Guys! I had my Ram 1500 leveled with 35” tires and also windows tinted. Very professional and quick. I would recommend to anyone for quality work from these guys. Very honest people with extremely fair prices. They did great work and finished on time. I highly recommend them! Ive Been going here for years they are the Best ! Great people , they do Great work! I highly recommend! Great guys, A+ installation and knowledge. Top notch product lines and an excellent business. Great people here made it painless spending money! Got remote start put on my Jeep and I couldn’t be happier with the outcome. Easiest experience ever with great people, great service and it was finished SO quick and efficient. Couldn’t live without my remote start now lol will definitely return with any future needs. 10/10 would recommend to anyone, thanks guys! Really great to work with. They were very accommodating with installation time and extremely helpful and knowledgeable. Would recommend! Top notch establishment. Purchased a couple car starters and window tint. Both Wayne and Alan are very honest and do great work. Great customer service. Was not able to help with my issue but provided several good options. Friendly and genuinely caring.